Hi! I’m Grant Heuer, a Certified Cicerone® & general beer enthusiast, and I’ll be your beloved homebrewing blogger for the foreseeable future. I’ve dabbled in investing, poker, & political organizing but now I’ve found what I really want to do. I want to brew. 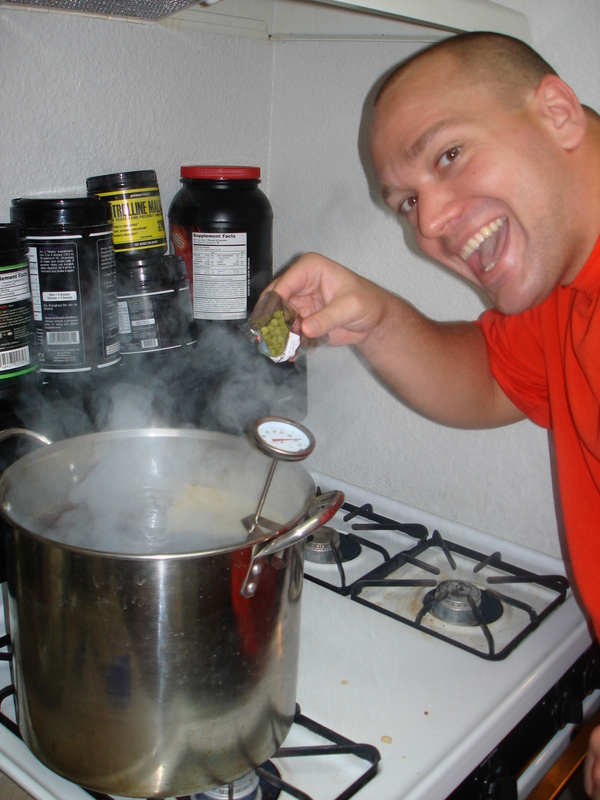 If the date setting on my camera can be trusted, I started brewing 5 gallon extract batches on August 31st, 2010. Since then I’ve scaled up to doing all grain (AG) brew in a bag (BIAB) batches in a 9.5 gallon pot. My brewing efforts to this point have been many and rather fearless. I’ve made some very tasty beers (by doing things I probably shouldn’t do again) and I’ve learned countless times why the smart guys who write the books advise against some things. Now I’ve decided I want to take my homebrewing to the next level. I’ve recently moved to Las Vegas and am pursuing any opportunity I can get my hands on in the local craft beer scene. Like nearly every homebrewer, my goal is to open my own brewpub and/or brewery one day. 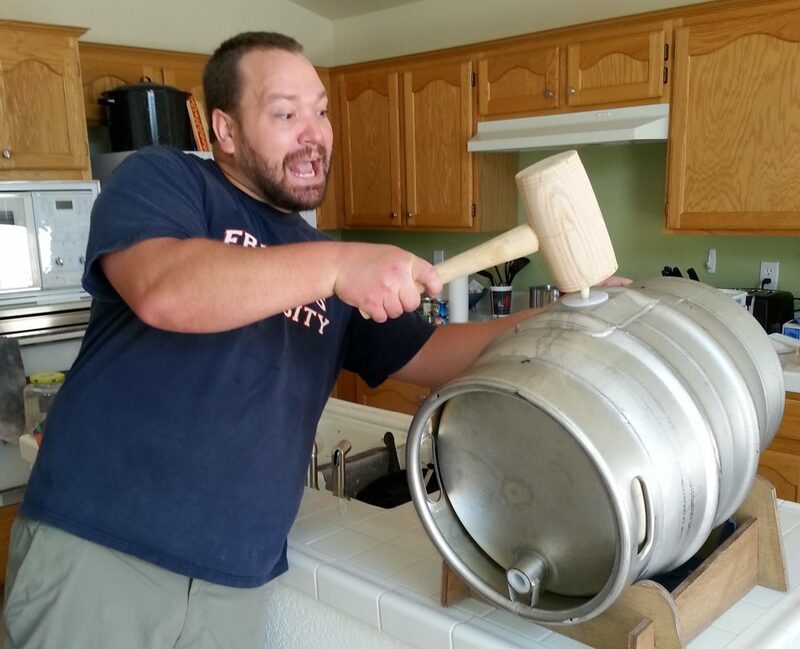 I’m an extremely enthusiastic member of SNAFU (the Vegas homebrewing club) and the idea for this blog was born during a conversation with the club’s President, Weston Barkley. He mentioned (in context and with all humility) that he had won awards in 10 of the 23 (not counting cider & mead) BJCP categories. I immediately shot back that he was slacking on the other 13. It dawned on me that brewing, let alone winning awards for, beers from all 23 categories would be a fun challenge and I’d likely come out the other side being a much more knowledgeable (if not better) brewer. In the beginning, I’ll be working with my equipment constraints. I’m not set up for lagers or fermenting much below the mid 60’s so I’ll be honing some of my tried and true favorites: farmhouse ales and American pales & IPAs. Thanks to a Brewing Network interview with Chad from Crooked Stave (of BrettanomycesProject.com fame) I’ll also be tinkering with some 100% Brett beers and splitting many batches onto various Brett strains in secondary. There’s a 20% chance this project could morph into an American Wild Ale extravaganza. Wildness aside, I look forward to hopefully documenting the progression from mediocre homebrewer to award-winning homebrewer to pro brewer. I know the mission of making award-winning beer in all 23 categories is daunting and will be time consuming, but I don’t call my operation Go Big Or Go Home Brewing for nothing. Without re-reading what I was doing, I suspect I couldn’t get one of the hops at the time. Also, I think the moral of the story if you read the other Gumball posts too, is that I want something close but with my own spin.